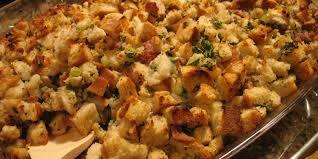 Over fifty years I’ve experimented with different recipes for stuffing and have cobbled this together as one of our family favorites. It’s found along with about 100 other favorites in my book, Family Favorites from the Heartland. These recipes are not hard, just plain and simple. A great gift for a bride or someone who likes to cook delicious meals.